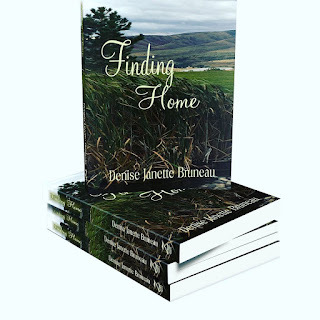 Denise Janette Bruneau: Last chemo! Celebrating with my mom today. 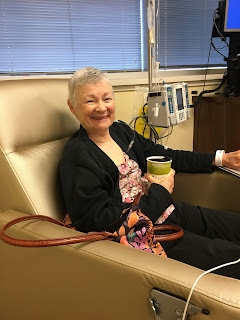 Her last chemo (immunotherapy) for Stage IIIB breast cancer, diagnosed one year ago. She is status post a bilateral mastectomy and radiation. She is looking good! I thank God for her health. I’m also thankful for her doctors: Dr. Bill Hoagland, Dr. Geetha Joseph, and Dr. Carole Scharf from the Baptist system. 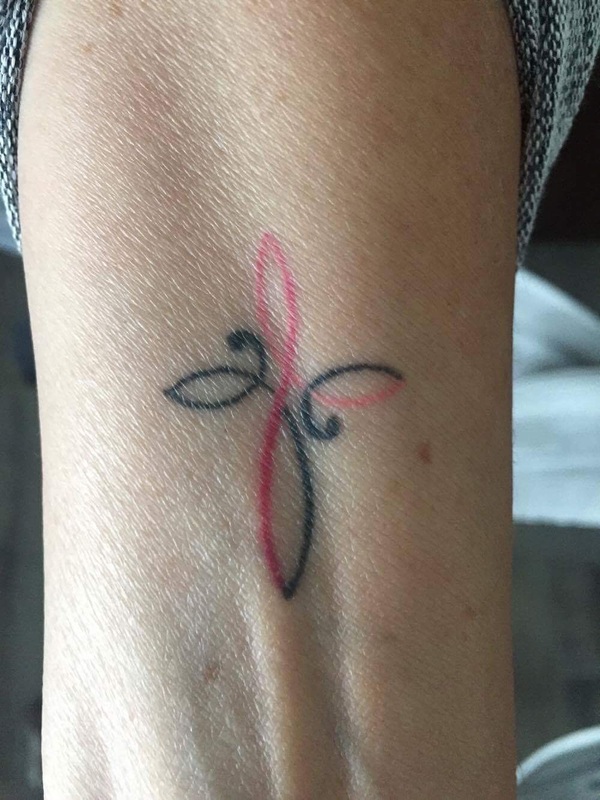 I think it’s time for this tattoo in honor of my mom, my friend Barb, and all of the other survivors out there. Oh yeah, and for me too! This is Barb’s tattoo.